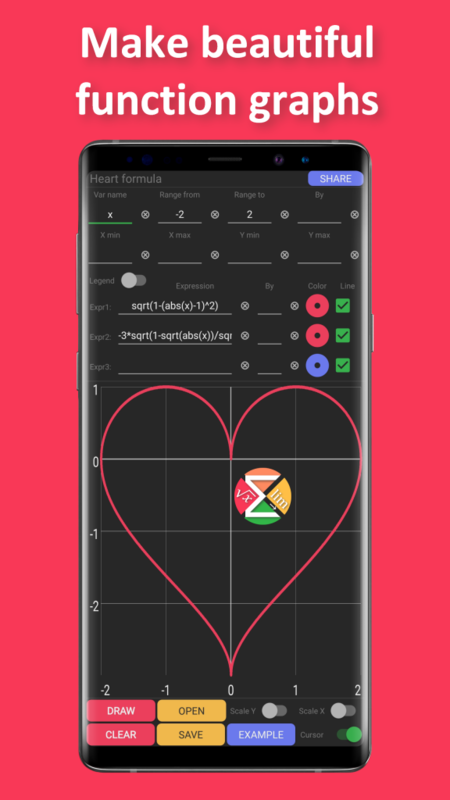 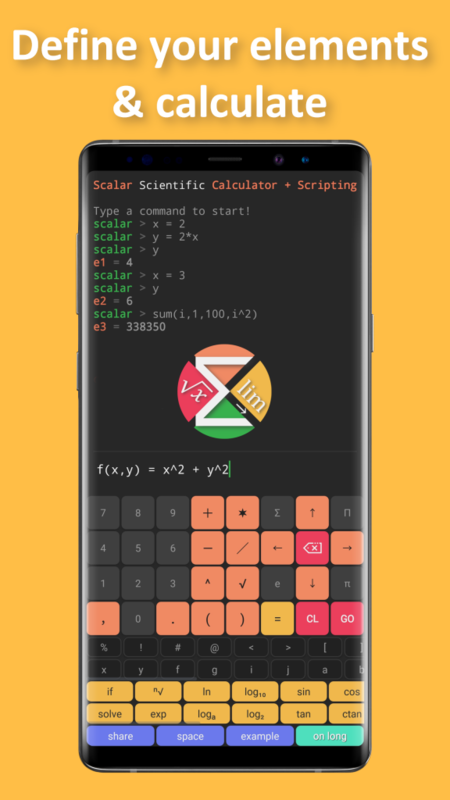 🥇 Scalar - a powerful math engine that looks beautiful! 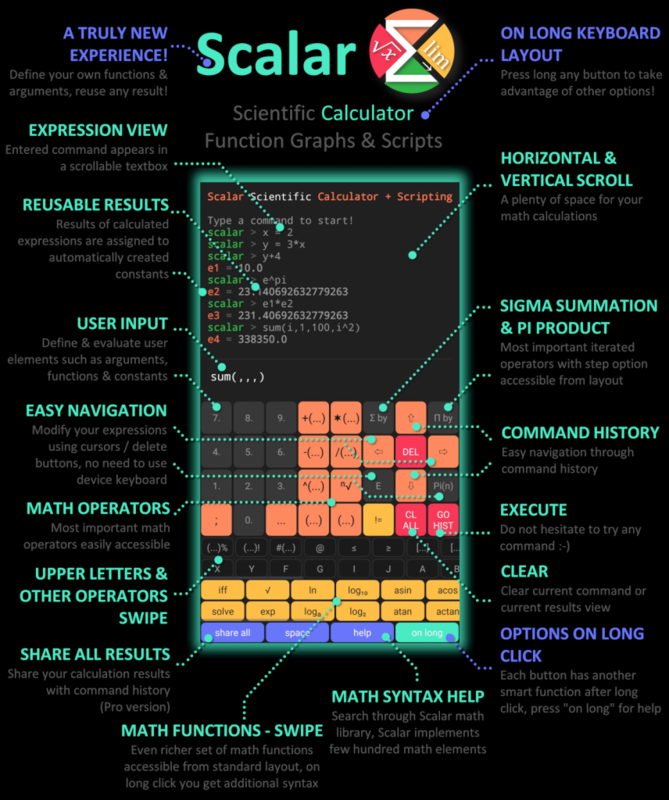 Scalar is much more than a calculator. 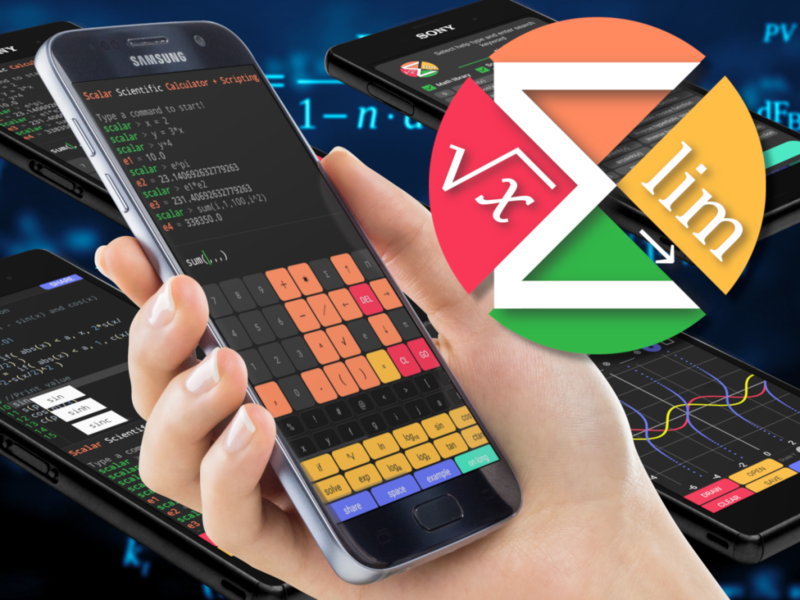 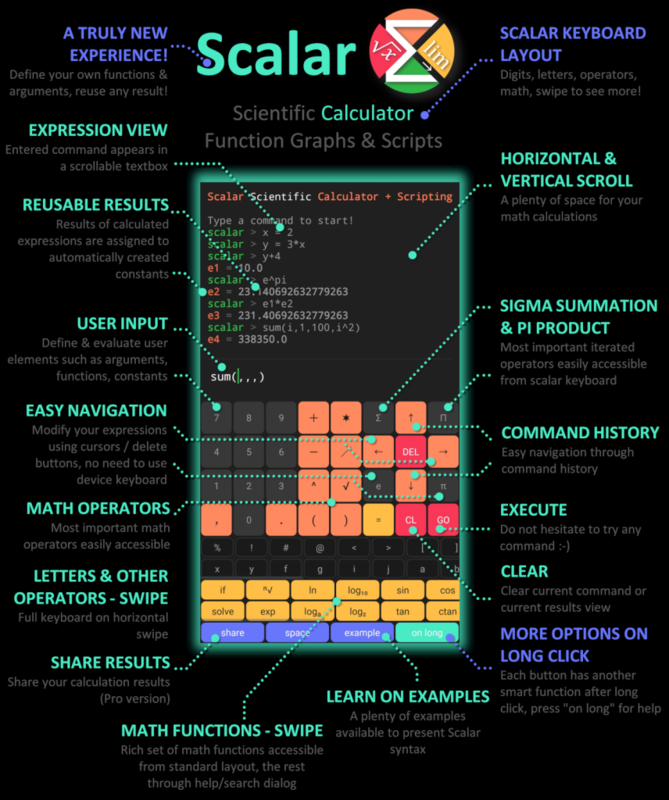 Scalar is a powerful math engine and math scripting language, that combines the simplicity of standard calculators with the flexibility of scripting. 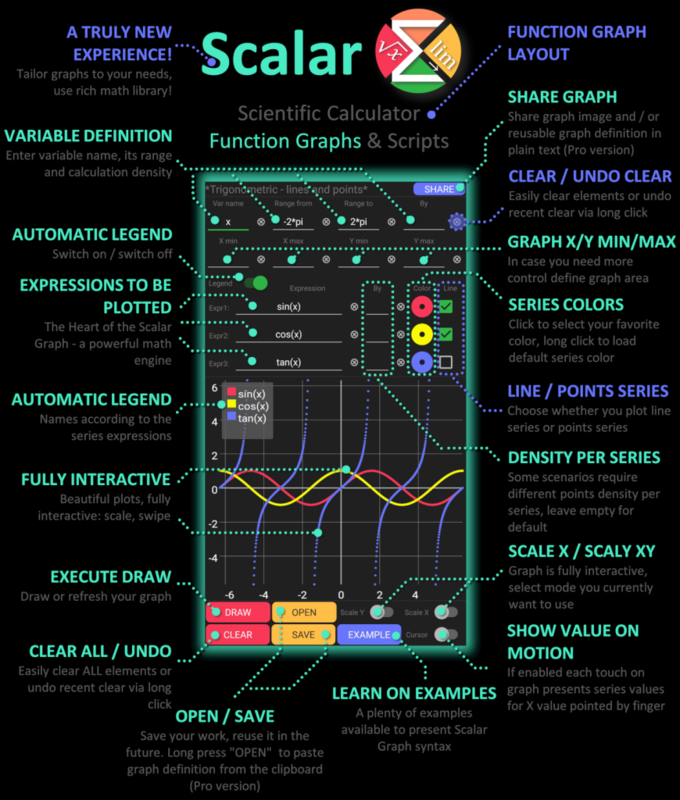 Thanks to Scalar, defining arguments and functions, as well as using them in subsequent calculations, has never been easier. 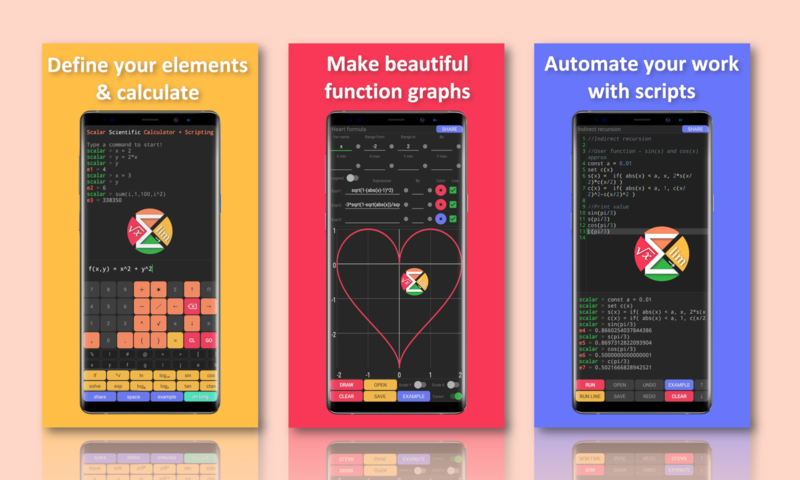 Beautiful function graphs, set variables, range, expression, interact with the chart! 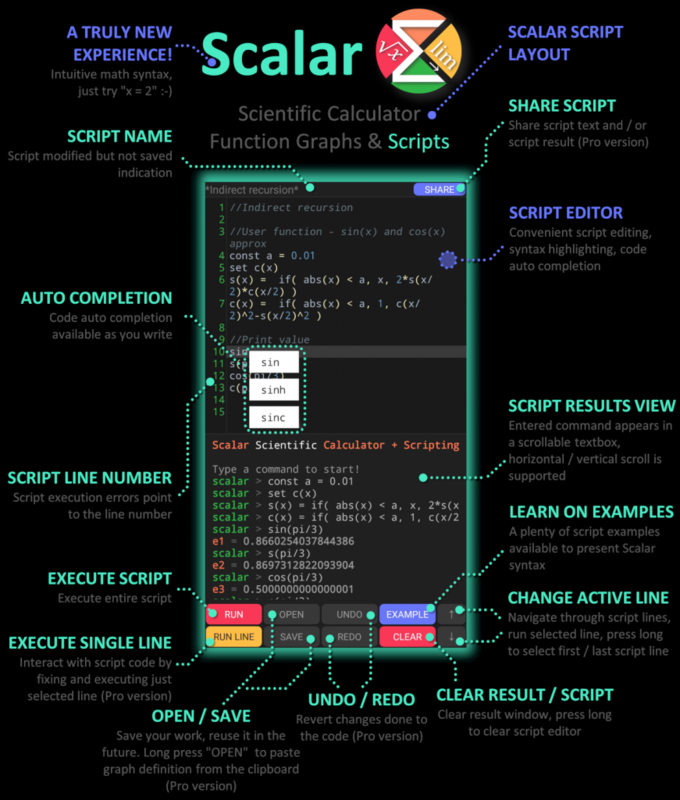 Scripts writing, personalize and automate you work! 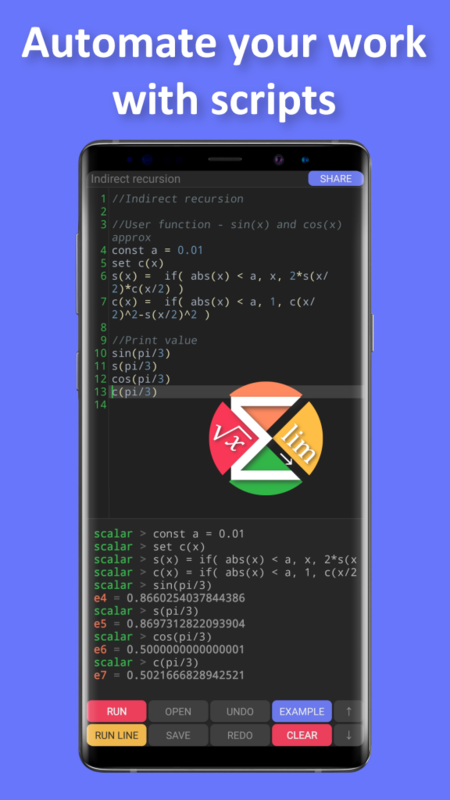 Rich set of examples that are built-in in the app!